Story, or storey, is commonly used to indicate a level part of a building with a floor which could be occupied by people. In addition to that, many people also utilize it as a measuring unit to describe the height of a particular building as well. However, depending on the cultural norms, construction material and local law, the height of a story could vary greatly from time to time. So how tall is a two story house ? By taking a good look at the information listed in this article, you would be able to come up with an appropriate answer. For most the time, the height of story is roughly around 10 feet with 8 – 9 feet of ceiling height and 1 – 2 feet of infrastructure thickness. Of course, there is no such thing as a fixed number, different places shall have different story height definitions. Stories within the same building could have slightly different height as well, for example, the building lobby is often taller than the rest. As the number of building story increase, the higher levels could have a bit less floor area than the ones right beneath them. The building attic, or loft, tends to have an entirely different height compared to other floors in order to match specific owner demands. Nowadays, residential buildings often have a ceiling height of 9 feet per story though older ones could still use the 8 feet design. For typical office buildings, the average ceiling height ranges between 9 and 10 feet, retailing stories would be a few feet taller though. 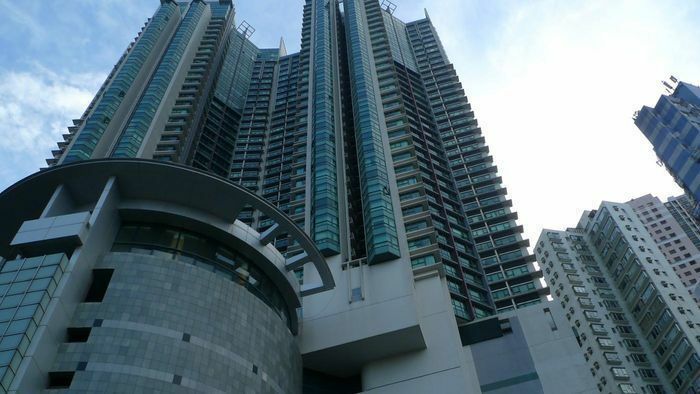 Office buildings normally require extensive air conditioning, wiring and plumbing arrangements, these would take up to 18 – 24 inches between the stories. The use of insulation material could have a considerable influence as well. Effective and efficient insulation layers are often thicker than entry-level products. 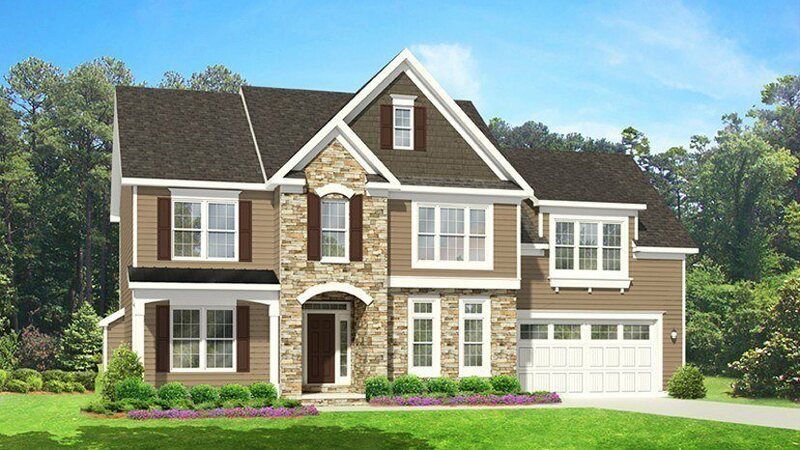 However, the maximum and minimum heights of a building are still under the control of the local zoning code. ​Ceiling height is very important in the real estate industry, it must not get out of proportion with the rest of the place. 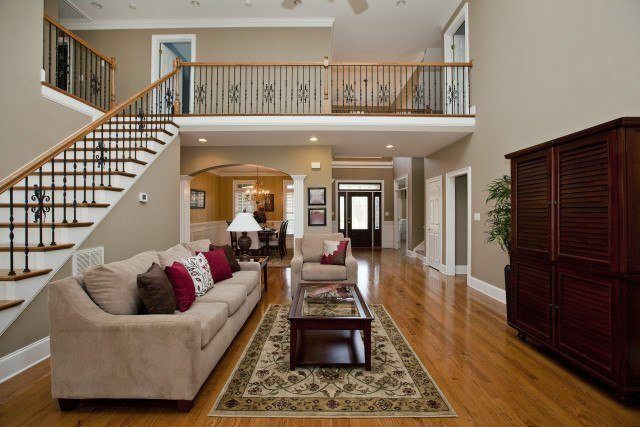 If the ceiling height is too low then the place could make you feel cramped and uncomfortable. In contrast, if the ceiling height is too high, the place would be unnecessarily exposed and that is not exactly a good thing. For example, a closer with a 15 feet ceiling height is very similar to an elevator shaft. As a result, there is a trend over the past decade for the usual story to move toward to the 9 feet ceiling height. In the case you are interested, here is a couple of formulas to help you guess the height of a multi-story building. Again, there are a lot of factors that can impact the building height and they could change from one case to the other. As a consequence, the result you receive using these formulas should be treated as references only. The number does provide you with a pretty good idea of the building approximate height though. And that is pretty much it, not too hard to take in, right? "How tall is a two-story house? ", it's may be difficult to provide an exact measurement when you don't have a clear understanding of the story dimension. But with the help of this article, you would be able to come up with a good estimate. ​The mattress is not only a human necessity. 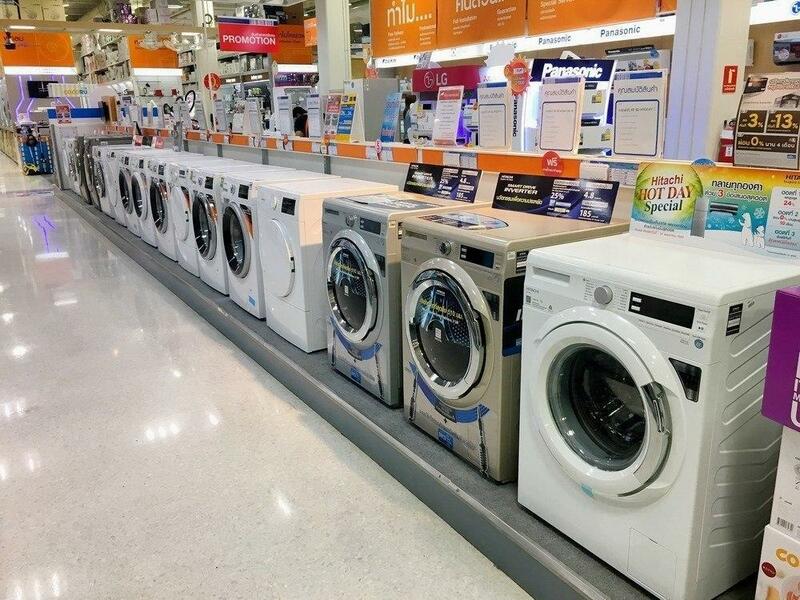 It is also a luxury that provides you comfort against the harsh condition of the cold and hard floor. When your body feels tired, it helps provide you comfort to sleep on the day’s stressful events. Mattress like any other characterized by different types depending on the person using the mattress. A saggy mattress is a terrible news to anyone. It is not a good place to sleep on since you will most like to have a terrible back pain the next morning. You will also notice that you are not well rested at all because you slept poorly due to the uncomfortable saggy mattress. Also, mattresses are very costly items that you often both a couple of years apart to make the most of the item that you bought. You are most likely to use it until it is no longer capable of providing you comfort. A saggy mattress is uncomfortable especially in areas where it sinks which is an obvious indicator that you will need to replace it or have it repaired to make it more comfortable to sleep on. Furthermore, a sinking mattress also means an uncomfortable sleep and back pains. In treating a saggy mattress, the best course of action would be replacing it with a new one, but a new set of mattress would mean another expense. However, if you don’t have the funds to buy a new set of the mattress, you can have your mattress repaired if it only has a little sag and is otherwise still usable. You can find many options on​ how to fix your saggy mattress online though most of them​ would suggest that it is better to buy a new one if the mattress is starting to get saggy. In addressing the issues with regards to saggy mattresses, it is better to find the cause of the sagginess to have a more efficient way of fixing it. You might even consider looking the overall appearance of the mattress to give a better assessment as to where be the sag coming from. Here is the area that is most likely the cause of sagginess of the mattress. If the mattress that you have purchased have a box spring included you might want to check on them first to assess if it is the reason of the sagginess. Buying a set of box spring is less costly than buying a mattress as a whole, which is uneconomical in a world where every commodity is every costly. Depending on the kind of mattress that you have you can put a piece of plywood with the same size with the mattress. You may place the plywood in between the box springs and the mattress. You can add two pieces to plywood in between the box spring and the mattress. 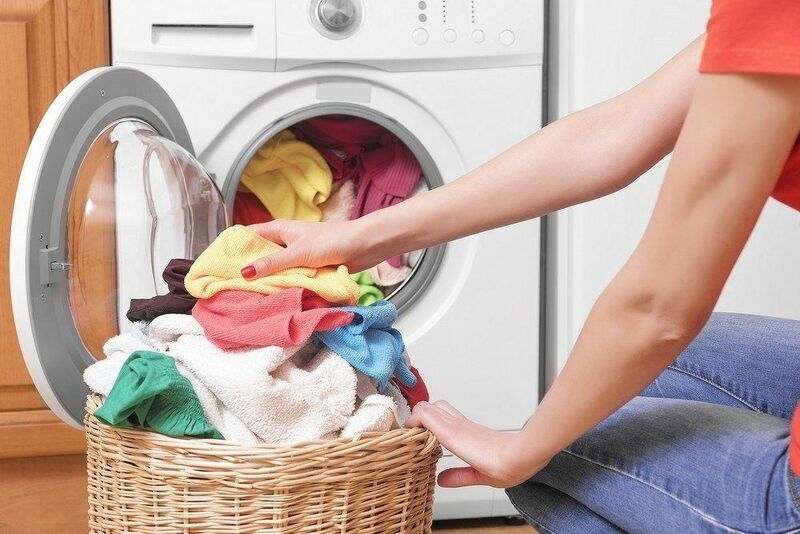 This method is less costly than obtaining a new mattress only to sag again in a couple of weeks. You might want to check the slats on the frame underneath the box springs. In case that the slats have warped you might need to replace it with a new one. Adding a one or two more slats will provide extra support to the mattress especially in areas where there are sags. It not limited as to where to can place the materials that will help you in filling the sags of the mattress. You can also add some mattress topper that can also help in filling the sags in the mattress. Buying new mattress is very costly thus most of the time you ought to choose in repairing your mattress which is less expensive that buying a replacement.​ Since you have many things that you particularly want to prioritize than buying a new set of the mattress. Here are some of an ideal way to economically repair your old mattress that is not only effective but it is also cheaper than having professionals repair your mattress. Mattress Helper only cost $9. It is a long foam that you can add to the mattress as filler for the sag area. Mattress Helper is a like a long pillow under the mattress but of a longer and a more consistent shape. It is a good investment instead of buying a new mattress that might have cost much only to sag in a matter of weeks which is not ideal at all. The bladder is a type of an inflatable pouch that pumps up air into the mattress that can be placed strategically between the box spring and the mattress where the sag is located. A bladder comes in different kinds and sizes depending on the bed that it will be used on. Foam topper is a type of mattress filler that you will help fills the sag of your mattress. Most of you will think that it is too thin for it to work in filling the sag of the mattress. But as the saying goes don’t judge the book by its cover thus try using it first before you give your verdict of its usefulness against mattress sags. Overfilled plush mattress pad is likely a very fluffy comforter you often used at home the difference is that it is used to add life to the sag of the mattress. It fills the curves that the mattress is having​. It also adds volume to the mattress thus making it look like there is no sag that is visible to the surface. As what doctors says to their patient's prevention is better than cure. This saying does not only apply in avoiding diseases, but it can also be applied to many things in general. 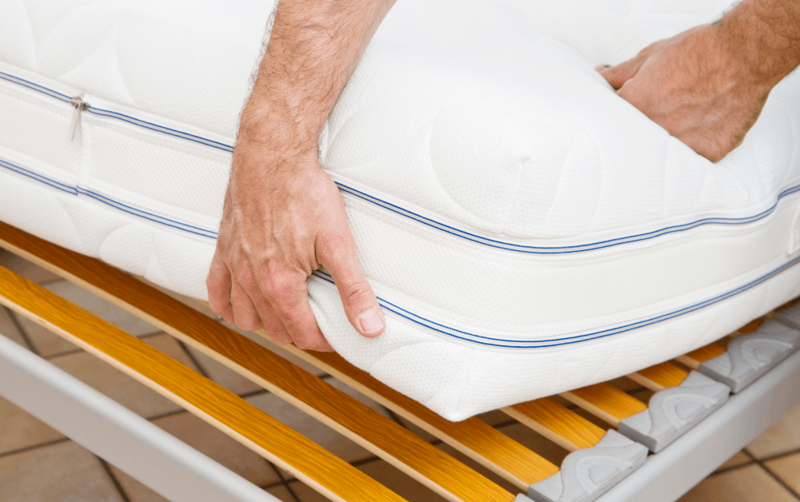 To prevent having sags in your mattress you can shift the mattress in a cycle of three on a regular basis. 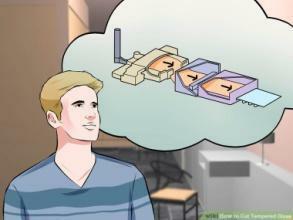 First, you can change the position of the mattress by swapping the head and foot area of the mattress you don’t necessarily need to flip the mattress in doing this. The second is to flip the mattress by changing the top and bottom portion of the mattress effectively interchanging it all together and lastly, changing the head and foot of the mattress again. Regular checking of the mattress also helps in preventing sags in showing into the mattress. Checking the box spring of the mattress and the slats help in keeping the mattress in good shape. The spring must be in good condition to avoid sagging of the mattress and slats should not show any sign of warping. Having a good foundation for the mattress helps in preventing sagging from occurring in the mattress. If you’re a DIY-er who likes to do most stuff in the house, surely you’ve considered using tempered glass in one of your home projects. This kind of glass is not easy to work on, because it’s made to break, if it is cut without the right process. To make it simple, let’s concentrate on home projects that use this specific kind of glass to allow illumination and variety of design in home improvement. Knowing how to DIY cut tempered-glass can help in saving money, because you don’t have to pay expert technicians to do this task. 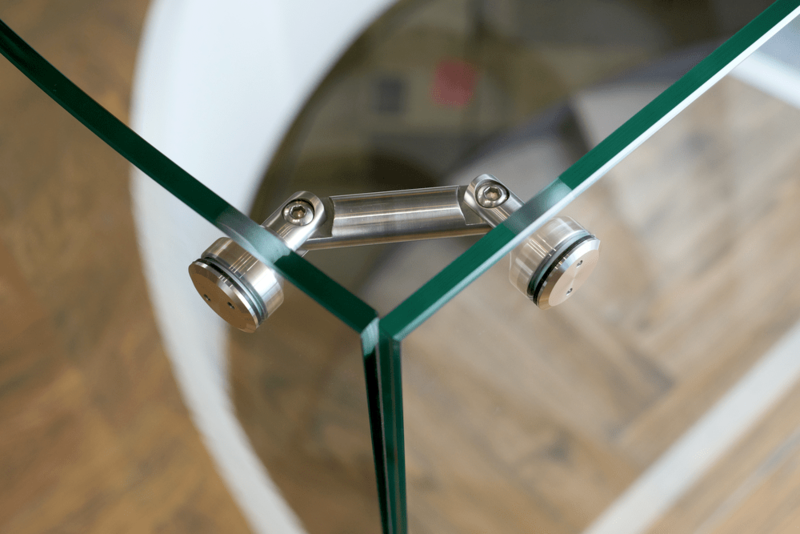 It’s better to know how to do this and it’ll enable you to replace glass doors, sliding doors, and most of anything that needs this kind of glass. Using tempered-glass because it durable and it’s safe when used in the home designs. Another benefit of knowing how to cut tempered glass is that later improvements in the home, may allow us to use this material for constructing more complex projects with less mistakes! I suppose now, we’ve got an idea of where this is going and you’re eager to learn more on this very helpful subject that easily teaches anybody, how to cut tempered-glass without any risks. Before, we start learning how to cut tempered-glass, there are some items that one should be acquainted with before anything else. Knowing how to use these items is important, before you can do any cutting of tempered-glass safely and efficiently without any injury or a few errors. 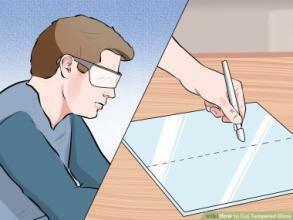 Each item is important to the process of learning how to cut tempered-glass, you’ll need to know how to use each item before starting on the process and what step in figures in. This is a solution that can be bought anywhere, and this item is applied on the tempered-glass to be use will be spotless and clean, before any “heat treatment begins” on the material. This is where the “Annealing” process is done. The oven has adjustable temperature setting that is important in implementing the “heat treatment” of tempered-glass. You have the option of getting different sizes, so that you can “heat-treat” any size of tempered-glass for your specific needs. 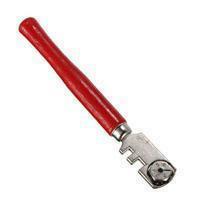 A glass cutter is a tool that’s used for etching lines and cutting glass. Kerosene is where you dip the glass cutter to make the cut neater. 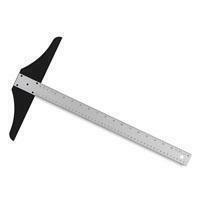 A tool used for aligning and making sure that all sides are even, when you cut the “tempered-glass”. A dowel is used to separate the cuts made into the “annealed” glass. 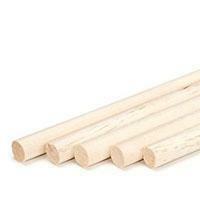 They come in “wooden”, “metal”, or “plastic” rod shapes that is important in one of the last stages. 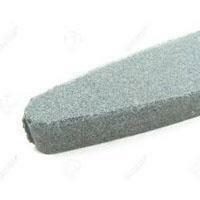 It’s a stone which is fine grained for sharpening or cutting tools. This is used in the last stages of the process of cutting tempered-glass. This is basically what makes the tempered-glass ready for its final application. These are goggles worn over your eyes to avoid injury to it, just in case any accidents happen. 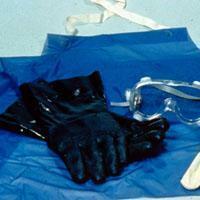 Safety is important whenever working with glass, and keep in mind to wear gloves to protect your hands as well. Here is the meat of this DIY on the most effective way of “cutting tempered glass” effectively for any projects that it’s needed for. In mastering the technique, you will have the confidence to do it yourself with ease. To begin, tempered glass cannot be cut without breaking into bits! What you need to understand is the process of “Annealing”, which means heating up tempered-glass, so the internal structure is heated up to alter the stress points of the glass. 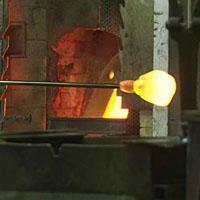 Without “heat-treating” the glass it would be impossible to cut. In mastering the annealing process, you can learn to manipulate the shape of tempered-glass by cutting or even re-tempering when you’re familiar with the process..
You need to make sure that the tempered-glass for cutting is not too big or small for your immediate requirements. Deciding on the final design you will work on will help a lot, and taking in consideration the annealing furnace’s size is an important consideration. 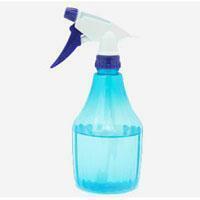 A glass cleaner or washing solution is needed to ensure a clean surface. This must be done in the initial stages of the “annealing” technique. When the heating treatment begins, the end goal is the elimination of “stress points” in the tempered-glass. In this stage, what must be done is to let the kiln reach an “annealing” temperature of 900 degrees Fahrenheit or 1013-poise. The material is soaking to a “stable heating” temperature in the furnace, this is to make the glass less tempered so that you can cut it without breaking apart. Once, you’ve determined the entire process, keep the glass in where it was heated and leave it for 8-hours for cooling, or any duration depending on your judgment throughout the entire process. The next stage is cooling the tempered-glass, but allowing changes for a slow and gradual drop in heat applied so the “stress points” will not show in the glass structure. 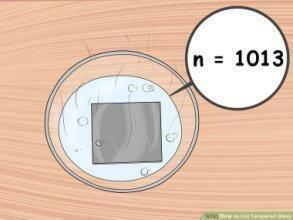 As a marker, the suggested “strain point” temperature is “1014.5-poise”, from there cooling is gradual to eliminate the tempered-ness of the glass. 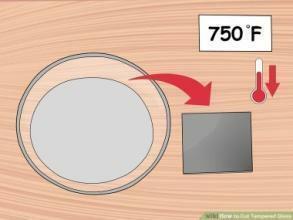 Leave the material inside the oven until the de-tempered glass has reached room temperature. Different kinds of glasses have differing cooling temperatures. Once the “annealing” is done; now what you need is safety goggles, glass cutter, and Kerosene. After the “annealing treatment” is done, what you have is a de-tempered glass with no more stress points and any cutting done will not shatter it anymore. Put a T-square over the area that you will begin cutting. A pro-tip is to dampen your glass cutter with kerosene, which will make a clean cut on the heated-treated glass. A glass cutter should make a straight line with a T-square, to make sure the line is done correctly. It’s important that any pressure applied is moderate and it must be run-over just once. What should be done after the lines are etched on the glass, you need to use ¼ inch “wood dowels” on the etched lines. If the lines are not cleanly done, the ridges won’t come apart evenly. Once, the “dowels” are placed and enough force applied on them, this will result in a neat ridge. How was this DIY-er on “how to cut tempered-glass”? Was it easy to follow and understand in the text? Did it give you a clear idea how to go about it and clarified some confusion about the entire process. If it did, then you can understand the importance of how the de-tempering of glass and the items involved in the process go together in achieving the end result. 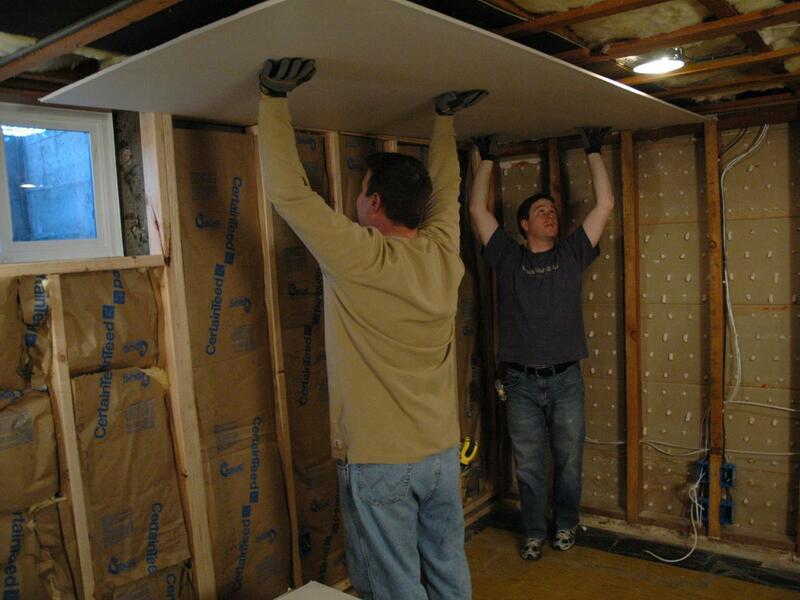 This will allow you to work on home projects yourself, which requires a technician and you save money. If you’ve got further questions and clarifications, you can refer to the links included in the article. Did the information, allow you to learn “how to cut tempered-glass”, and if it helped much then kindly share if you can. Keep in mind that initial attempts may not be successful, but follow the tutorial and continue refining your “technique” further will produce better results in time. When the heating treatment begins, the end goal is the elimination of “stress points” in the tempered-glass. In this stage, what must be done is to let the kiln reach an “annealing” temperature of 900 degrees Fahrenheit or 1013-poise. The material is soaking to a “stable heating” temperature in the furnace, this is to make the glass less tempered so that you can cut it without breaking apart. Once, you’ve determined the entire process, keep the glass in where it was heated and leave it for 8-hours for cooling, or any duration depending on your judgment throughout the entire process.